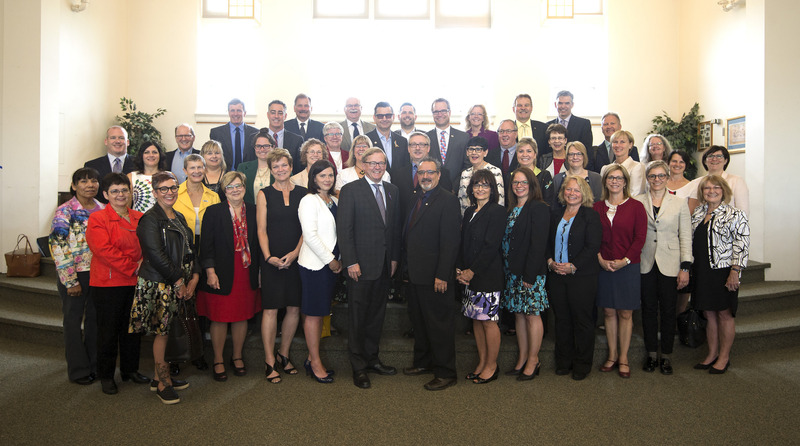 On 15 June, ACEE was pleased to join some of Alberta's educational leadership, upon the invitation of the Education Minister. The Minister announced the launch of Education's work on K-12 curriculum development. ACEE has worked hard to position K-12 environmental and energy education as an important solution to climate change, and we were really pleased to hear the Minister flag climate change as a key issue that must be dealt with in the new curriculum, along with the related topic of environmental stewardship. We applaud this approach - and we're very hopeful that Education's dedicated staff take full advantage of our Curriculum for a Sustainable Future, a document that proposes relevant student learning outcomes for literacy around environment, energy and climate change.